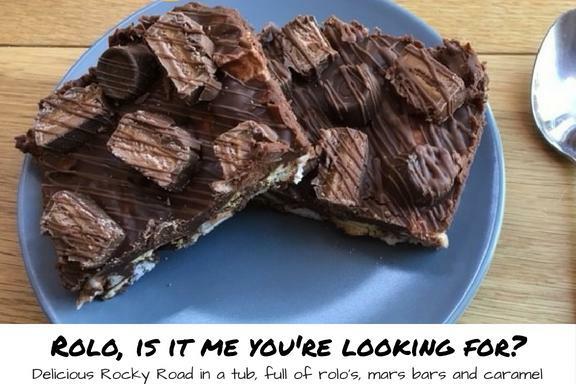 A unique Caramel Rocky Road Takeaway! 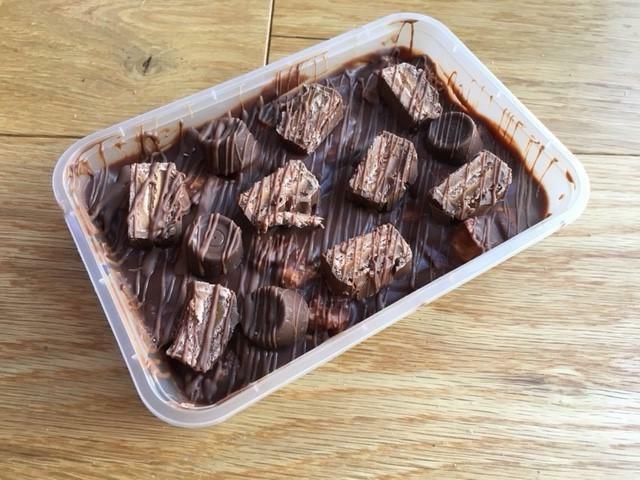 Our Salted Caramel Rocky Road takeaway tub is made from the finest ingredients and unlike other Rocky Road Cake, our Rocky Road contains lots of soft, gooey home-made vanilla bean marshmallows. 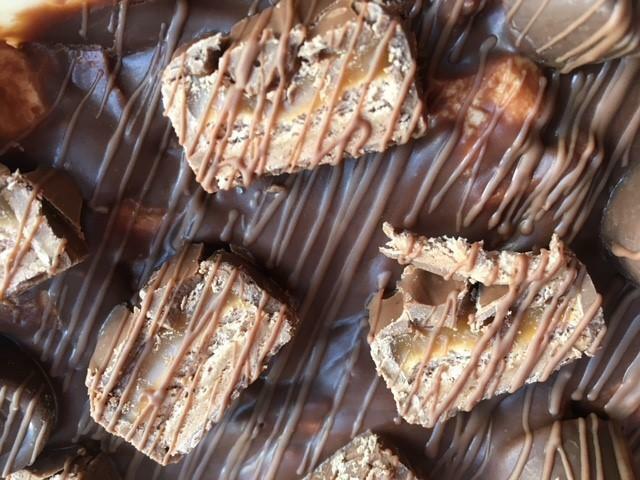 This Salted Caramel Rocky Road is made with yummy, moreish Vanilla home made marshmallows combined with lashings of chocolate, biscuits and topped with Mars bar pieces and Rolos and a slated caramel sauce drizzle - a perfect chocolate caramel treat. 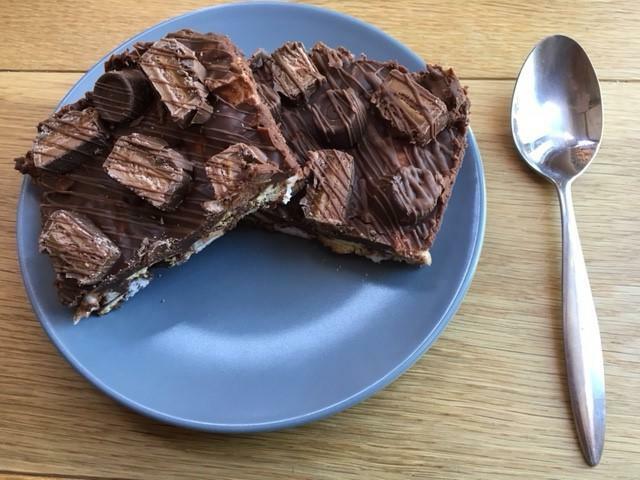 The Rocky Road Traybake Takeaway is best eaten within 2 weeks, though will keep for up to a month (if you can resist!) 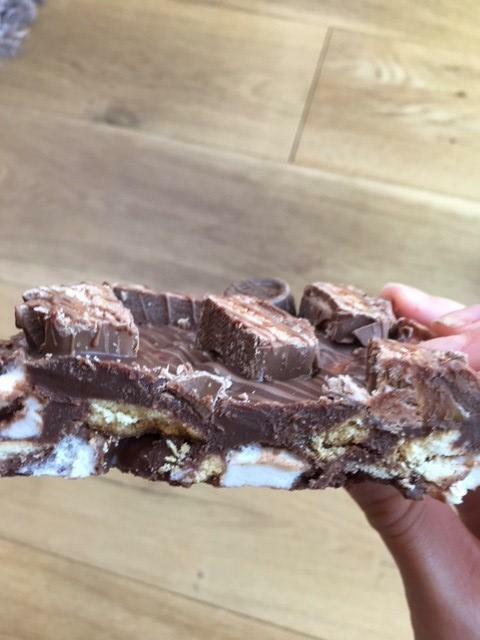 when stored in the fridge (best stored there).